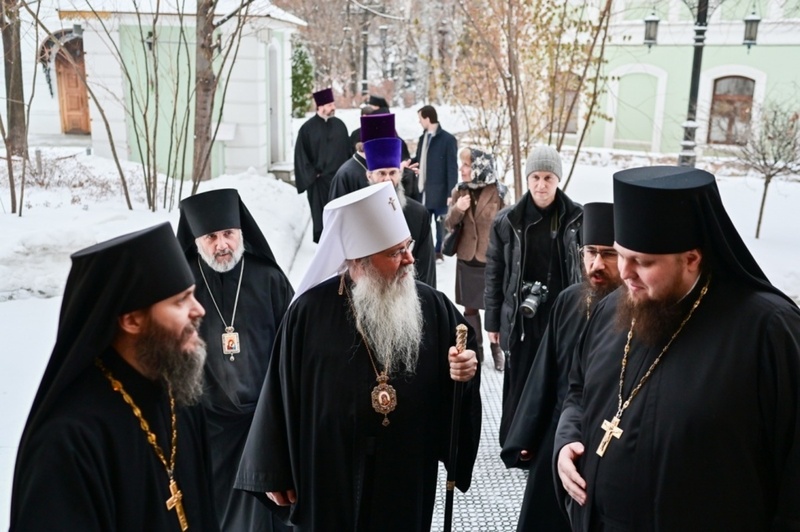 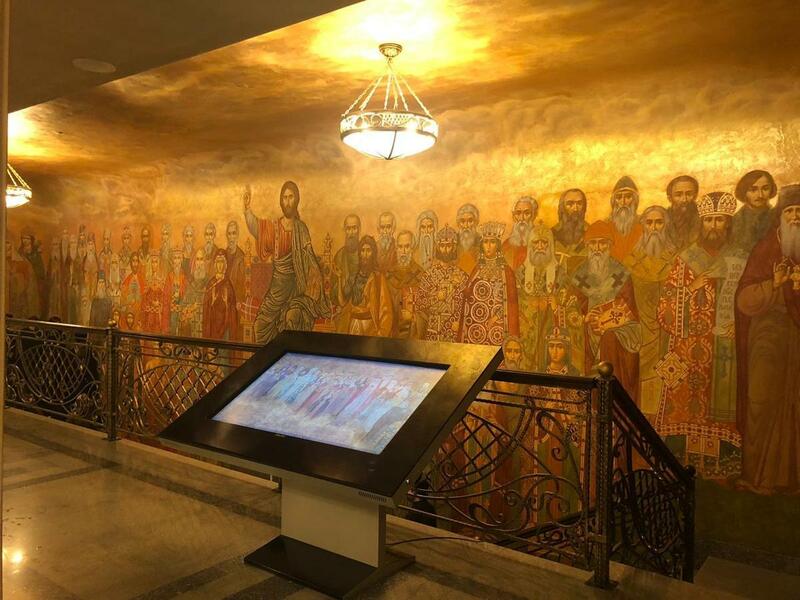 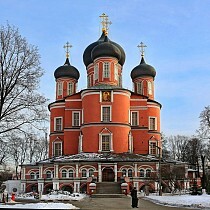 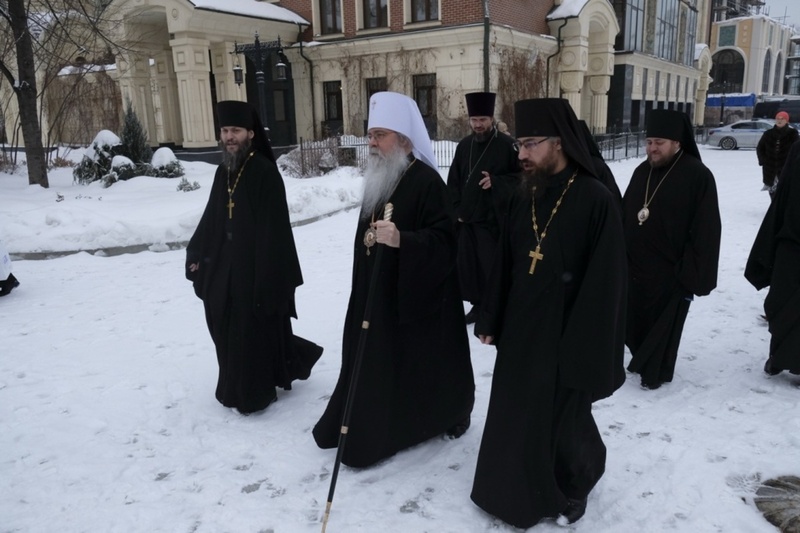 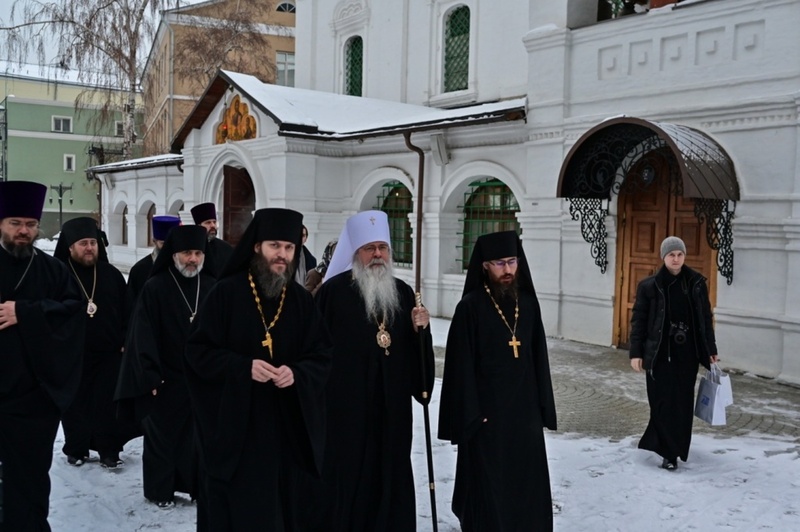 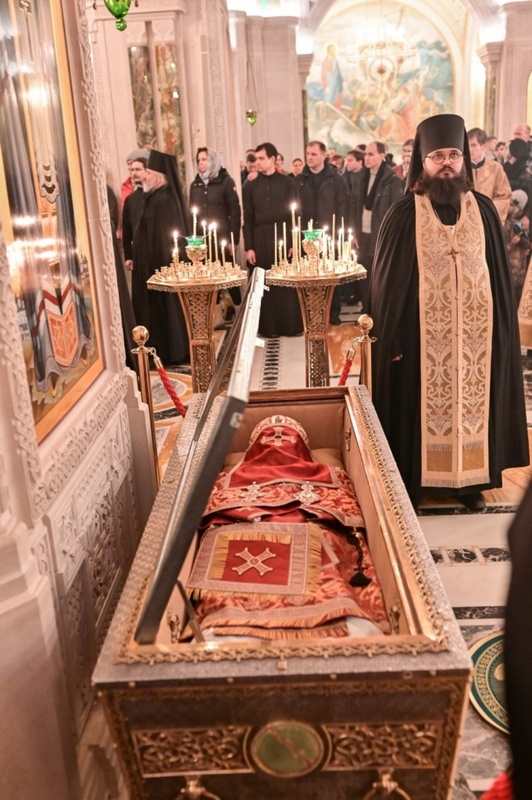 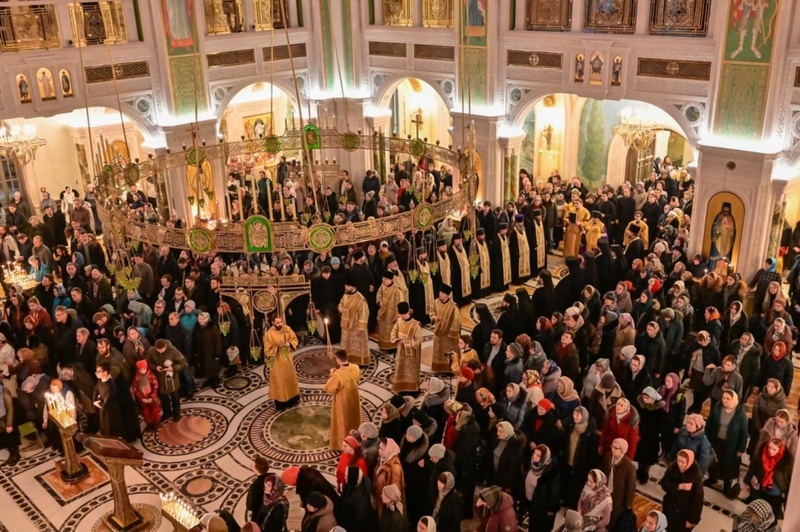 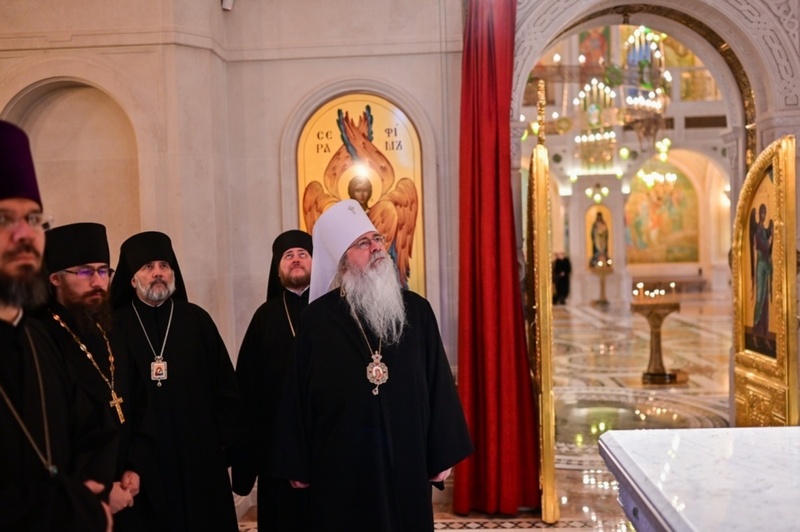 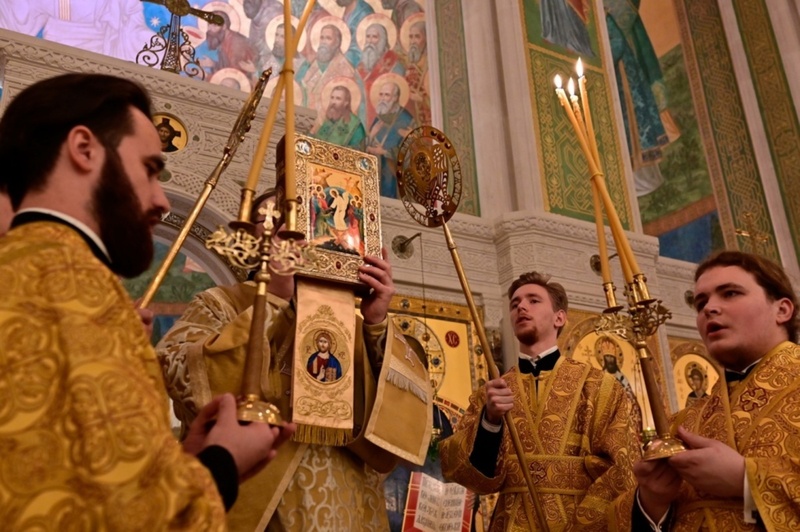 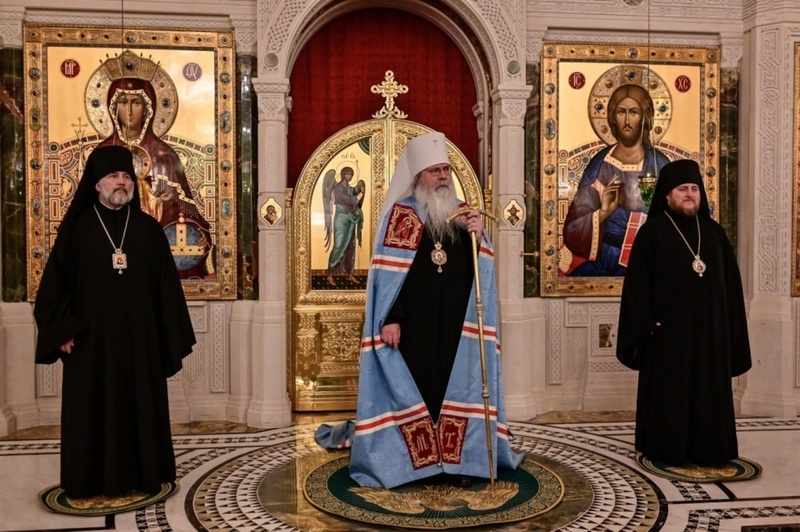 On Saturday, February 2, a delegation of the Orthodox Church in America led by its Primate, His Beatitude Tikhon, Archbishop of Washington, Metropolitan of All America and Canada visited Sretensky Monastery in Moscow. 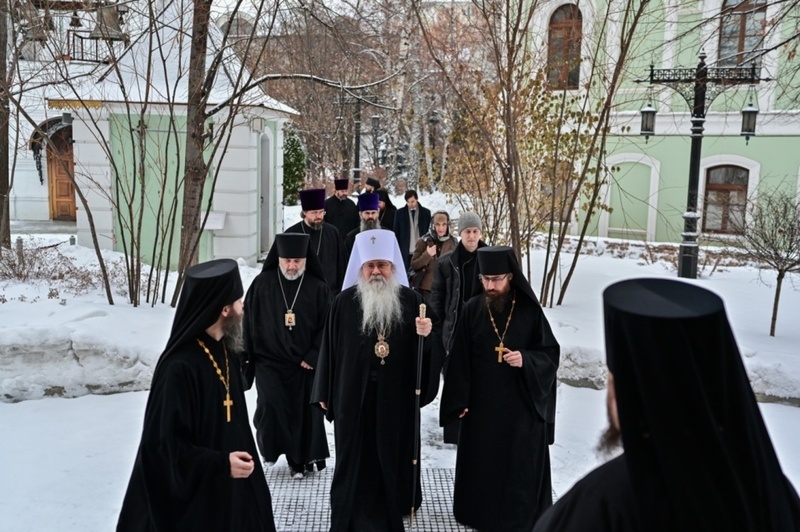 The monastery brethren and students of the seminary gave a tour for the guests. 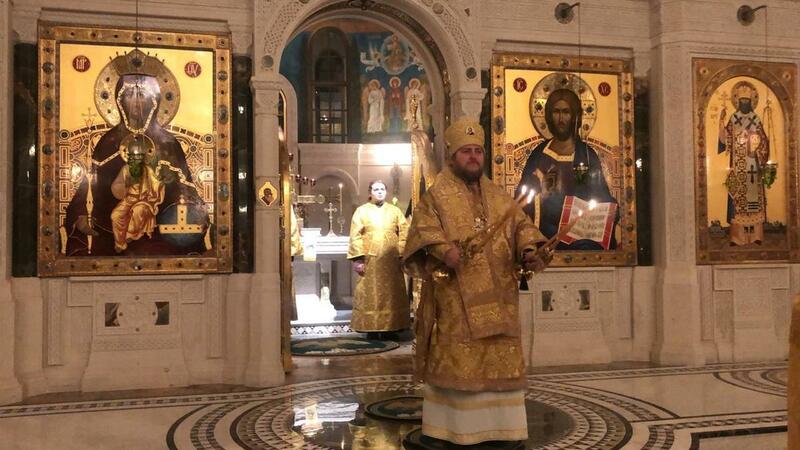 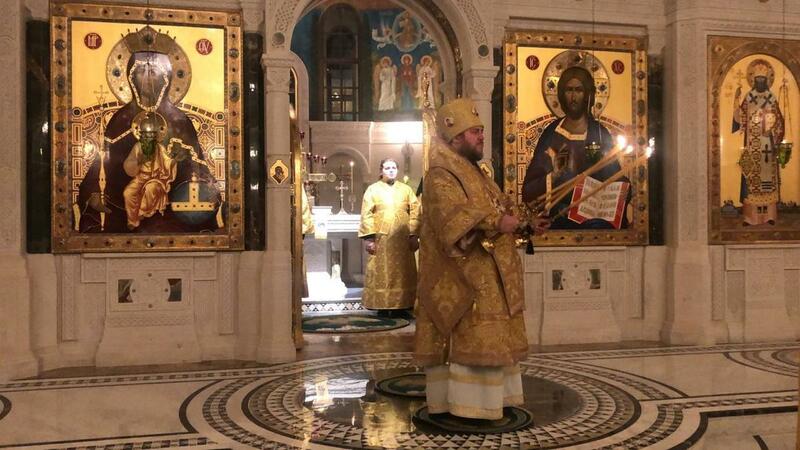 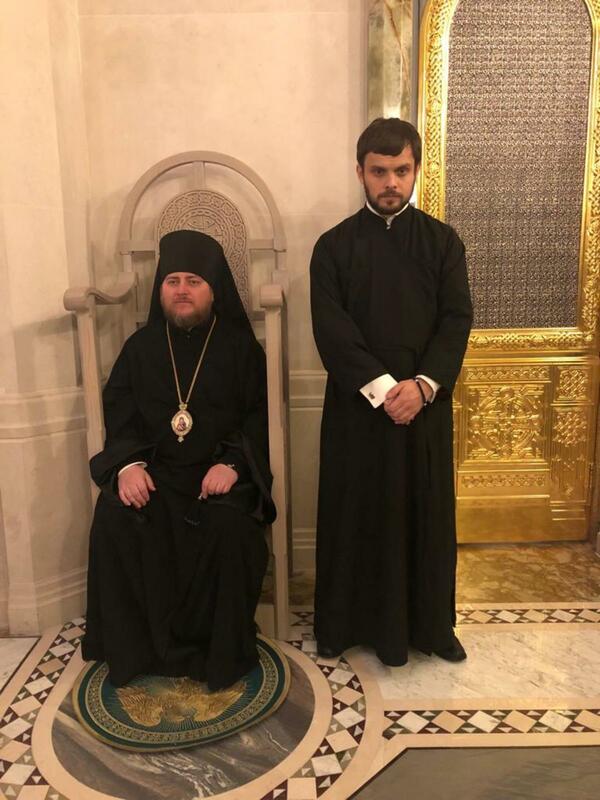 Metropolitan Tikhon led the All-night Vigil co-served by Bishop Daniel of Santa Rosa, Vicar of the San Francisco and Western American Diocese, Bishop Matthew of Sourozh, interim Administrator of the Patriarchal Parishes of the Russian Orthodox Church in the United States and Canada, clergy of the Orthodox Church in America and bretheren of the monastery. 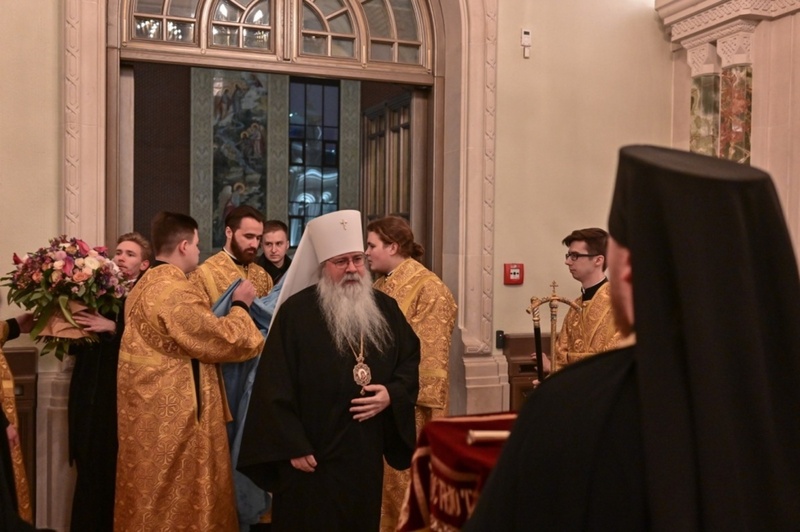 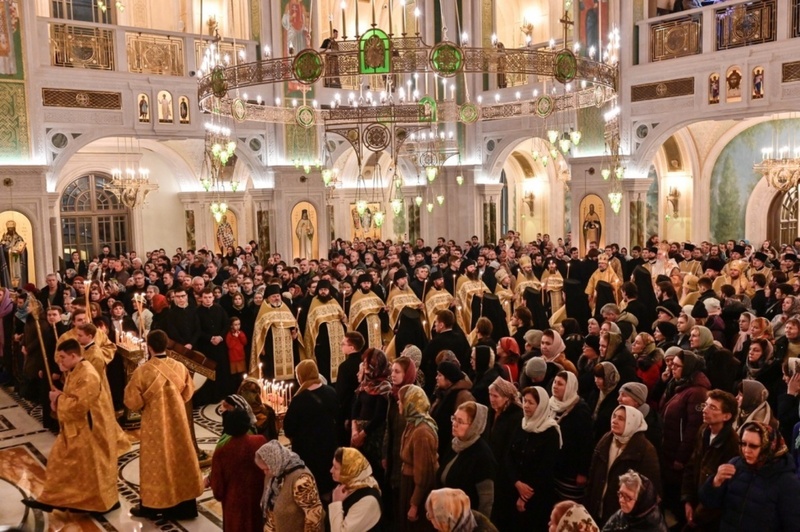 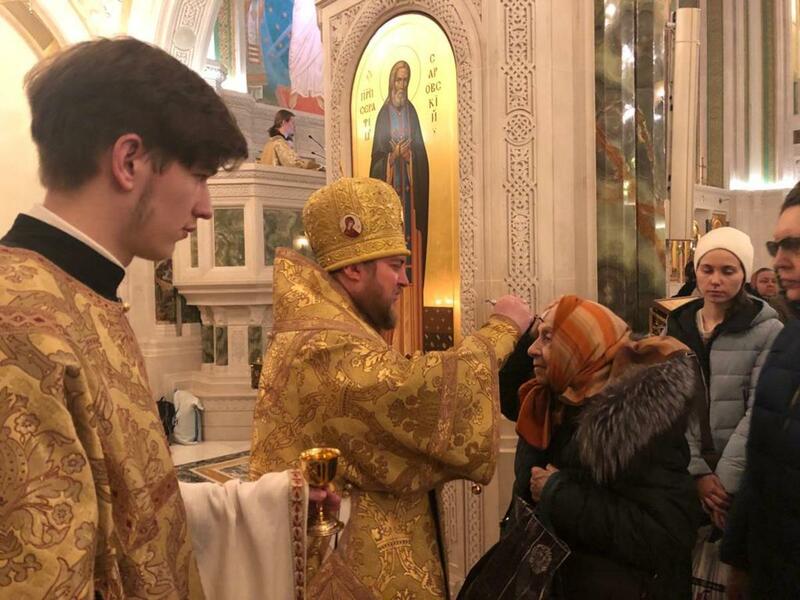 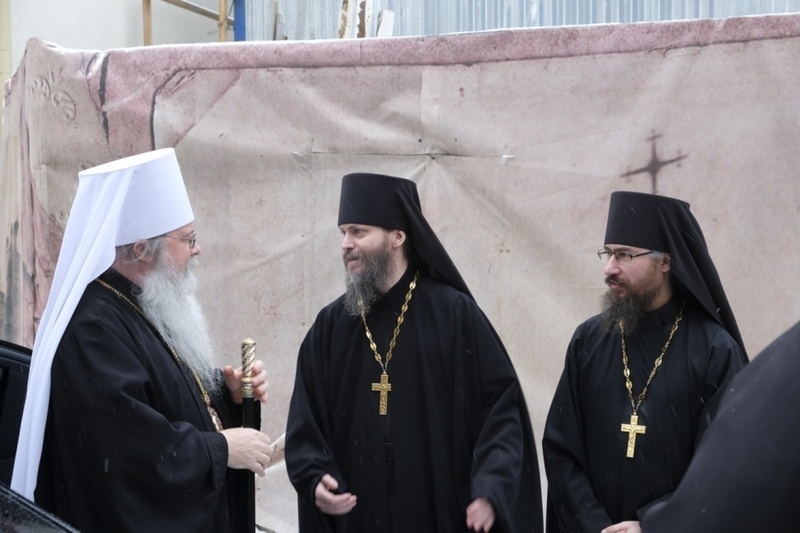 After the service, Hieromonk Ioann (Ludishchev), acting abbot of the monastery, addressed His Beatitude Metropolitan with words of gratitude and wishes of God's help in serving God and the Church. 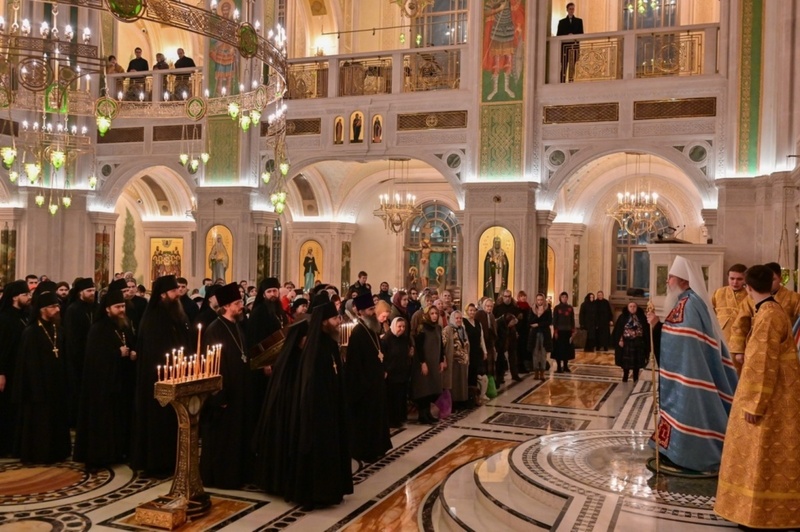 His Beatitiude was presented with a Vladimir Icon of the Mother of God. 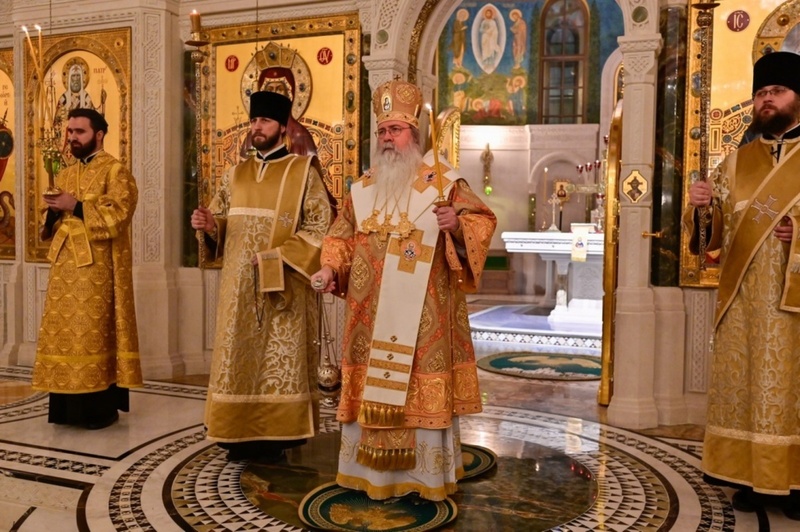 Metropolitan Tikhon addressed the brethren and the congregation of the monastery with words of gratitude for the warm welcome and joint prayer.